Today, Talk For Two welcomes renowned defense attorney Jerry Buting. A successful Wisconsin criminal defense attorney, he came to national attention as a subject of the Netflix sensation Making a Murderer. The documentary series followed accused (and later convicted) murderer Steven Avery, his family, and his defense team as they fought to prove his innocence. The 10-part binge-worthy doc sent shockwaves through the American consciousness; with many feeling Avery was wrongfully convicted. Now, the two lawyers at the center of it, Dean Strang and Jerry Buting, are embarking on a tour to theaters across the country. Their aim is to use their newfound celebrity status to continue the conversation on justice. In fact, their tour is called, “Making a Murderer: A Conversation on Justice,” and it is stopping at the Beacon Theatre this Sunday, April 17th at 8PM. Purchase tickets by clicking here. While Mr. Buting discusses what audiences can expect from his moderated talk with co-counsel Strang, he was most excited to discuss the particulars of the case that shook the nation’s perspective of rural justice. Many believe that Avery did not receive a fair trial. That is because the evidence seemed to point to the defense’s astonishing argument: that the Sheriff’s department stacked the deck against Avery because he was suing the county over an earlier wrongful conviction. 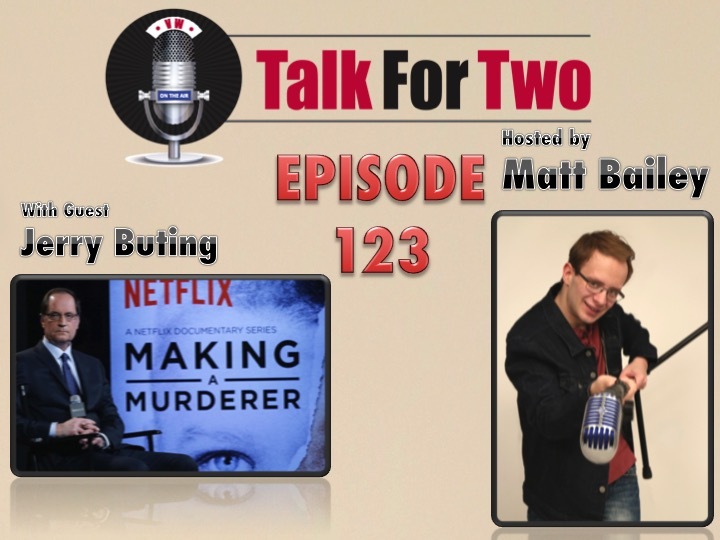 Along with host Matt Bailey, Jerry Buting delves into the evidence that has everyone talking: The tampered blood vial, the moved bones, and that pesky appearing key. And, Buting addresses some evidence not shown in the documentary. Plus, you’ll hear why he believes these conversations are so important, and why he looks forward to bringing his message to New York. And finally, stay tuned after the interview for Matt’s own perspective on this very complex case.